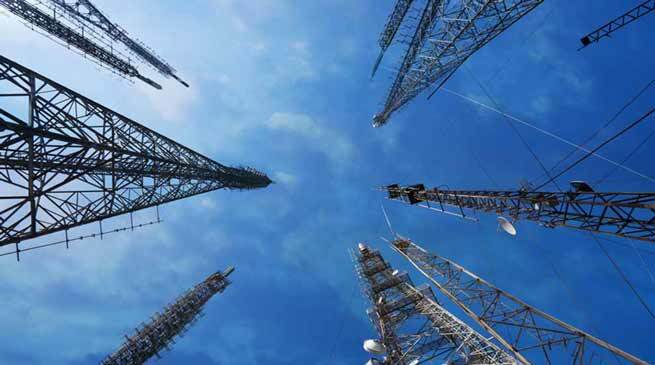 Chief Minister Pema Khandu has invited all major private telecom players like Reliance, Airtel, Vodafone and Idea to upscale their presence in the state. His request comes in the wake of State Government giving impetus of achieving cent percent reliable mobile connectivity in the state which is one of the most important key to development of the region. He requested the private cellular service providers to increase their reach by providing high speed broadband services which will not only increase their revenues but will also usher economic development in Arunachal Pradesh. In separate letters to the CMDs of the telecom giants like Mukesh Ambani of Reliance, Sunil Sood of Vodafone, Sunil Bharti Mittal of Airtel and Himanshu Kapania of Idea, Khandu this evening wrote “you must be aware that Government of Arunachal Pradesh is giving impetus for achieving 100% reliable mobile connectivity in the State. Needless to mention that connectivity is the most important key to development of a region; be it road, rail, waterways, air, power or telecom. It helps in overall economic development and social integration of the region. Robust telecom and broadband connectivity and provision of quality telecom services are also an avowed national priority”. Giving a brief about the strength and challenges of the state, Khandu said “the State has witnessed a huge boom in the tourism sector with both domestic and foreign tourists visiting our state. However, lack of reliable mobile/internet connectivity is playing a major hindrance in promoting tourism and bringing overall development of the state”. “For this purpose, a special cell has been formed in CM’s Office under the chairmanship of Special Secretary (CMO) which will monitor all the major telecom projects in the state and will provide support to all the telecom operators facing problems related to road cutting, land acquisition etc. in the State” Khandu informed.